Everyone and their mother will be posting this in the near future. I want it in on that party. 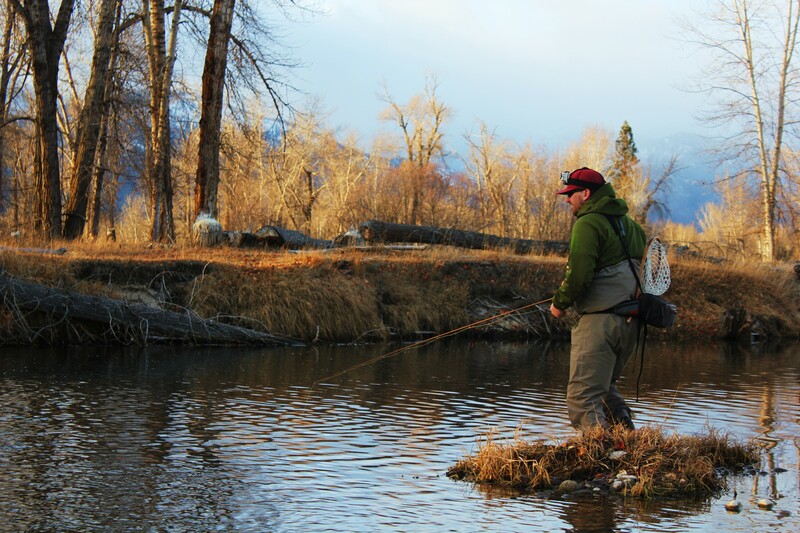 The Faceless Fly Fishing crew has teased us with the idea of Plan B for going on four months. It was in IF4. It played in their hometown of Calgary and now...now the internet masses can slurp it up. Other than the ridiculous intro (who catches a demolition on film by accident, while fly fishing? ), what I love about Plan B is how it appears they chose to include the fish in the video. I won't spoil it, but I like both the number, the species, and the size of fish in their most recent short. After a sushi-rolling, Argentinian techno musicing, snowball fighting dinner party went later than expected on Friday night, Saturday morning was spent sleeping and not fishing. Shame shame on me. I had every intention on getting out on the water this weekend, but Argentinian techno music is a confusing, exhausting, and apparently cruel mistress. 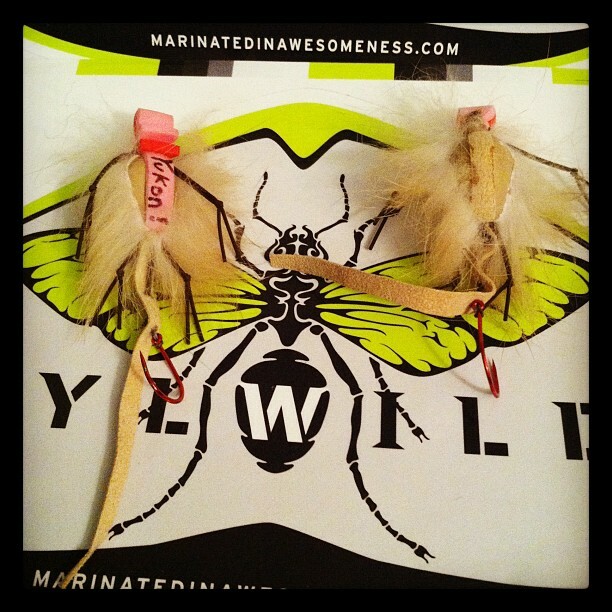 So, Plan B was tying my first flies with Matt Breuer. Matt lent me one of two vises and put me to work. It took me a whopping five hours to make four flies. 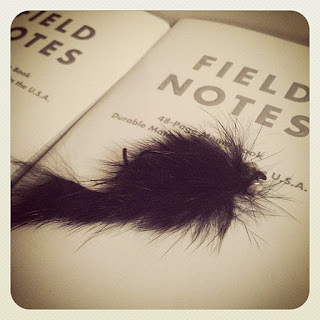 Mostly because of all the guffawing, storytelling, and phone calls, but also because of my lack of fly tying ability and aptitude. First fly - bunny leech of some sort. 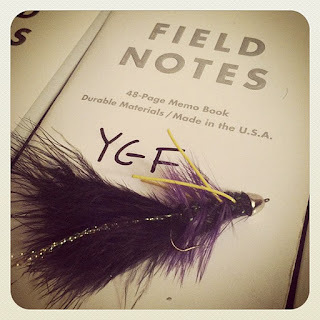 So, there it is, my first venture into fly tying. I can't wait to tie my next piece of crap. Many of you are aware of the now outdated dreams and goals of 2011 list on the YGF sidebar to the right of the post. Number 9 on that list is "Catch a fish on a mouse pattern." Note that it is not crossed off. Not to say I didn't try, but admittedly my efforts were...sub-standard. I have excuses like 2011 was a weird water year and I wouldn't feel comfortable wading in the higher water later into the sea...blah blah blah. Excuses, excuses. 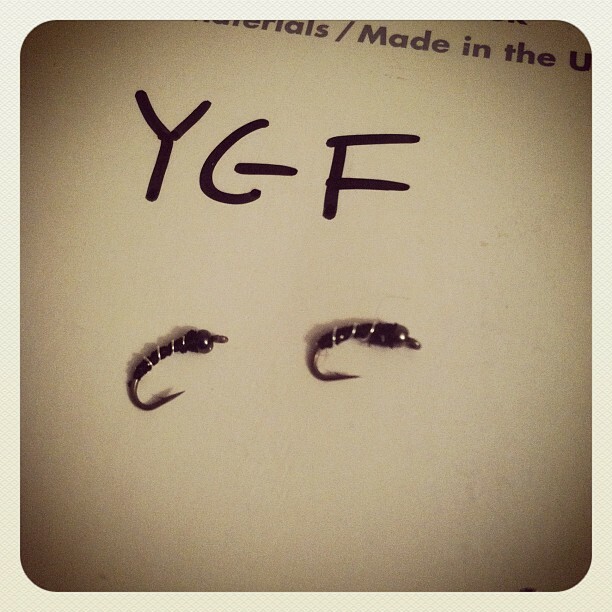 Enter Andrew Grillos, signature fly tyer at Idylwilde. AG/Mr. Grillos/Grillos saw that my plight to catch a trout on a mouse last year was not completed and he took it upon himself to offer up a pair of his signature tie - the BOB Gnarly - to me. Now, I have to catch a trout on a mouse. A signature fly tier and experienced guide is sending me mouse flies. Full effort will be given. 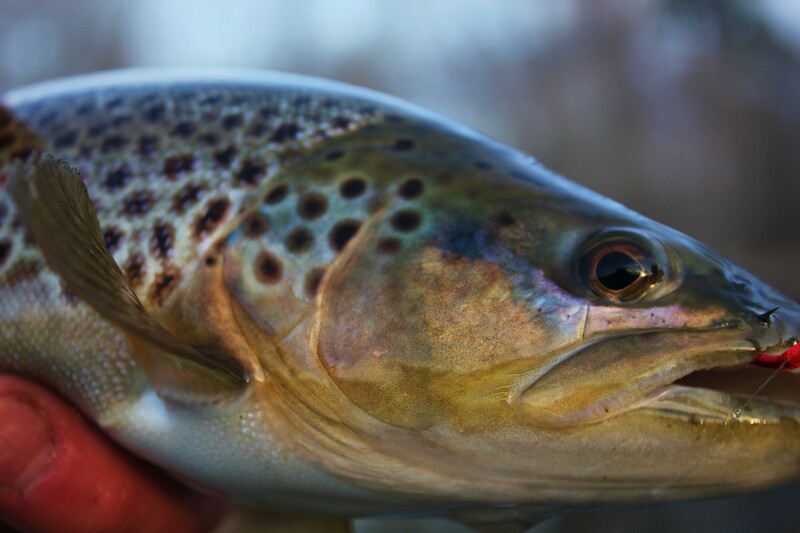 Trout will be caught on a mouse fly this year. It will be done. AG has produced the BOB line of flies that incorporate a styrofoam bobber into their construction. The BOB Gnarly is one of those BOB flies. Here is how the AG himself describes the BOB Gnarly. I began playing around with this idea in Colorado and I was really able to refine it while guiding at Alaska West a couple summers ago. Let's just say that I got kind of obsessed with the mammal-eating trout up there. 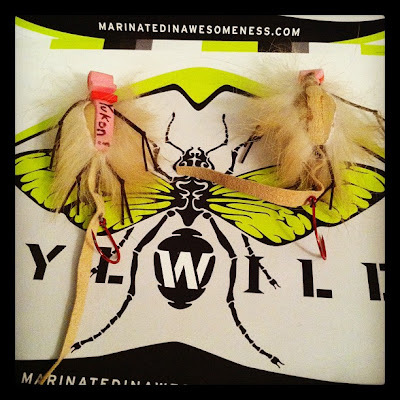 Durability is a big factor in the flies that I tie and I tried to make this guy as tough as possible. I like to tie one fly on in the morning and fish it all day long. I also wanted a mouse that wakes in the surface film rather than skitters and skates delicately on top. 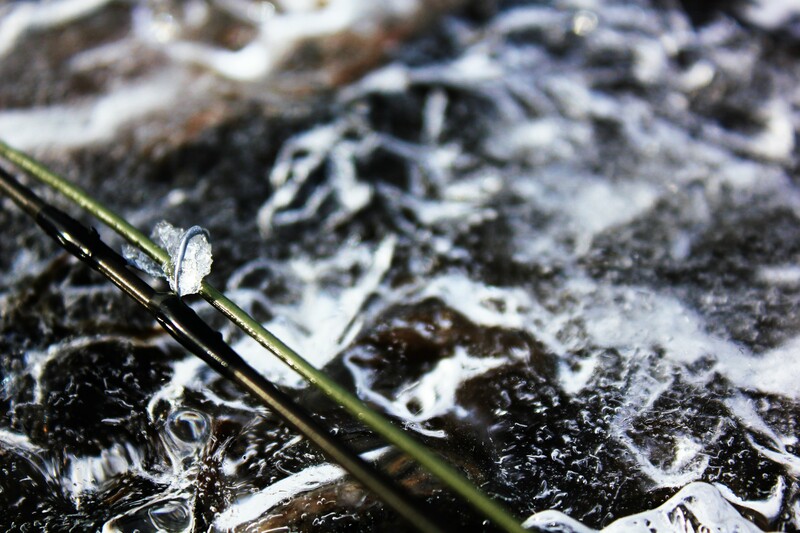 The upturned, light wire, stinger hook tends to hook fish more solidly while inflicting less damage as well. I like to keep the fly moving, as well. Small twitches with the rod while skating or dead drifting have proven to be super effective. This BOB Gnarly was refined in Alaska, but it's also been proven on fish in Colorado, on daytime and nighttime missions. It fooled a few huge NZ browns a couple winters ago as well! 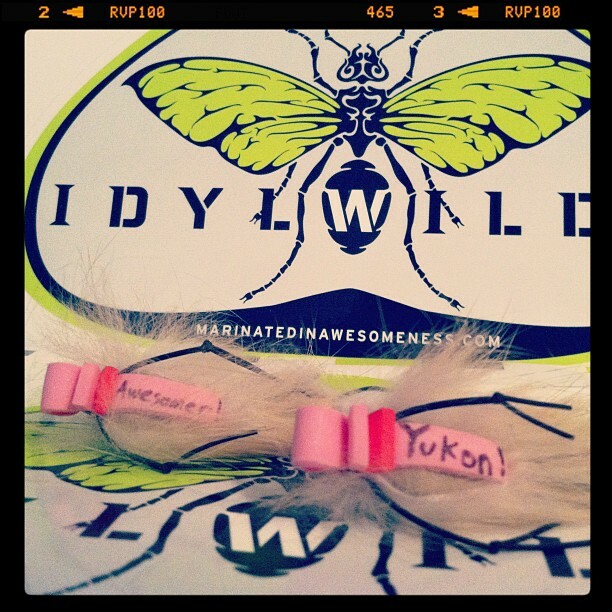 I'm confident that the BOB Gnarly can help you meet your goal to catch a trout on a mouse! I am super excited to get the BOB Gnarly out on the water. The fly looks bomb-proof and the use of the styrofoam bobber seems borderline genius, if not straight up genius. Many thanks to AG. Friend of YGF, Matt Breuer of the Ponoi River Company, is making it a habit of appearing in videos on Moldy Chum. First, Breuer was dropping spey bombs in the unprofessionally done YGF video Sleep, Dreams, and Birthday Donuts. A video that was posted on the Chum in mid-December. Now, he is appearing in the very professionally shot The Incomparable Ponoi. If I am to believe Matt (which I am trying not to make a habit of), this promo for his company was shot by Gin Clear Media on the RED camera. That is 25k for a camera. Breuer should be back in town in the next couple days, so expect him to make several appearances in upcoming YGF projects. The stories Matt has about the Ponoi are a little ridiculous. Stories of 40-50 fish days. All of those fish being Atlantic Salmon caught on the swing. Sign me up. Check out The Incomparable Ponoi. I bit the digital bullet. You can't make yukongoesfishing.com stickers without the domain name. So, I made it official. Yukon Goes Fishing can now be found at www.yukongoesfishing.com. Update your links, tell your mom and dad. Tell your grandmas and grandpappies. Tell your bros, bwos and your sisters. It's getting real. Stickers are pending. I have to find the monies to do that. But, I will get around to those soon enough.....hopefully. Also, the blogroll was reset with the transition to the dot com. Keep me honest. I feel like I am missing some big ones. Let me know if your blog is missing from the blogroll. I will be sure to update it. 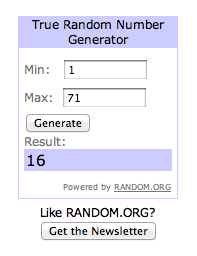 If you haven't entered the Glacier Glove giveaway, do so here.